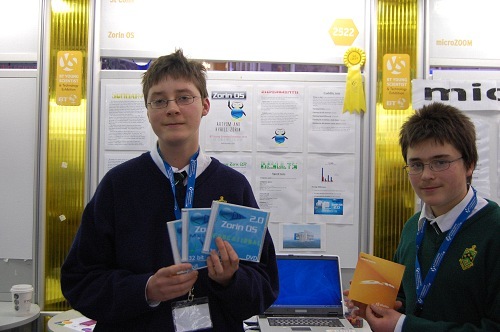 Brief: Two teenagers created a Linux distribution 8 years back. Today it has become a prominent name in the Linux world. Read the story of Zorin OS. What made you start the Zorin OS project? The story of Zorin OS began in the summer of 2008 when my brother Kyrill and I first tried Linux. As soon as we booted our CD of Ubuntu 7.10, we were amazed at how much better it was than the traditional desktop operating systems. It made our computer run so much faster, it was far more customizable and flexible, and we didn’t have to worry about getting viruses. We thought to ourselves “This is better than Windows and Mac in pretty much every way, why isn’t everyone using this?” However, when we showed Linux to our father – who was a regular computer user – it became apparent that Linux wasn’t designed with the general public in mind, as it was difficult to use and the desktop layout was confusing to someone accustomed to Windows or macOS. We saw this as the biggest roadblock to the success of Linux on the desktop, so we decided to solve this problem by creating a distribution with a familiar user interface that adapts to what the user is comfortable with. The only problem was that we were 12 and 14 years old, and neither of us knew how to develop software. We took this as a challenge and started developing Zorin OS while learning how to program. Nine months later – on 1 July 2009 – we shipped Zorin OS 1.0. That’s impressive! But developing a Linux distribution on your own as a teenager must have been difficult. Did you have help from your parents? Do you have other developers working on Zorin OS? When we started Zorin OS in our early teens there wasn’t any computer science curriculum at our school, so we needed to teach ourselves how to develop software by reading books, watching tutorials on YouTube, and Googling. Our father was a translator and our mother is an artist. While this meant we were the only programmers in the house, our father was instrumental to the inception of Zorin OS. His early experience with Linux served as the inspiration for our project, and his guidance in strategizing our new venture gave us a clear path towards building Zorin OS into what it is today. 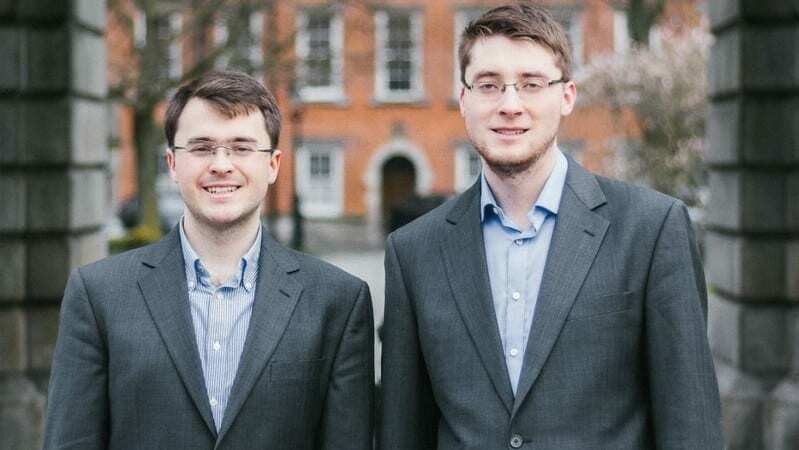 After graduating from school and studying Computer Science and Business in university at Trinity College Dublin, we’re now working full time on Zorin OS. We would like to thank our community of users and customers of the Ultimate edition for helping to support our development efforts and making it possible for us to focus purely on making Zorin OS even better. As an Open Source project, we also receive contributions from other members of the community, both indirectly and as direct code commits to our sub-projects. In times when we need to add more expertise to our team, we hire remote developers on an ad-hoc basis. 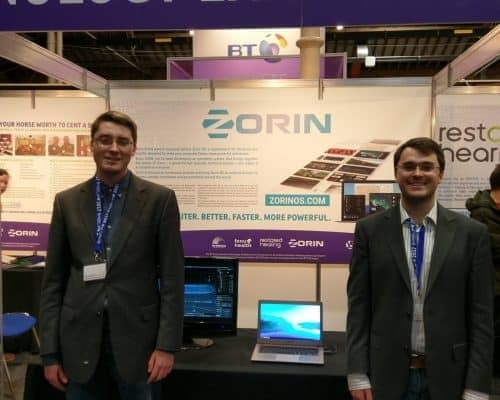 Over the coming months, we’re planning to expand our core team even further to support the creation of new Zorin OS-related projects. What would you recommend to users coming from other OS? And would Zorin OS be the right distribution to start with and why? Ever since the release of version 1.0, our primary focus when developing Zorin OS was to make it as easy and frictionless as possible to move from traditional systems to start with Linux. If you’re familiar with Windows, you should be able to use Zorin OS right away without having to learn anything new; the start menu and taskbar are right where they were in Windows. We’ve also made it possible to change the desktop layout in a click using Zorin Appearance, so if you’re used to macOS or another operating system you can feel right at home. However, behind all of the desktop refinements and ease-of-use tweaks, you still have access to the power of a full Ubuntu-based Linux distribution in Zorin OS. Some people do not like that Zorin OS Ultimate is paid. How do you justify putting a price tag on Linux? The spirit of Free Software is to create technology that is free as in freedom, not “free beer”. This allows developers to charge for their work to make it sustainable. The GNU GPL license actually highlights the fact that Free Software can be paid-for. Even though many Linux-based projects are available for free, a lot of the development work for Linux is actually done by salaried engineers in large companies like Intel, IBM, and (surprisingly) even Microsoft. These companies contribute these resources to Linux because their servers and products run on it, and by developing Linux they’re also improving how their businesses run to positively impact their bottom lines. This commercial funding is why we see such a vibrant Open Source community around Linux on servers and IoT. However, the Linux desktop hasn’t seen that level of success yet, as there still hasn’t been a strong commercial push into it. When Canonical axed the Unity and Convergence projects earlier this year, they noted that they weren’t able to justify funding the development of these projects as they weren’t able to produce financial returns to be able to pay for themselves. We believe the lack of commercial focus could risk the stagnation of the development of desktop Linux (case in point above) which would be sad to see. By paying for a Linux desktop distribution, you’re also directly funding the engineers who are developing and making Linux even better on the desktop. In the case of Zorin OS Ultimate, you’re also getting a huge library of additional software and technical support as part of the package, so it’s a win-win for everyone. I have noticed that some of the Zorin releases are based on the version of Ubuntu that is reaching the end of life in a few weeks. Why does Zorin take such long time after an Ubuntu release? And how does it work after the base Ubuntu version reached EOL? I’m not sure where the “End of Life” question comes from. Zorin OS 12 – our current version – is based on Ubuntu 16.04 which will be supported until April 2021. This version was released in November 2016, and we continue to provide support and software updates for it, including point releases like version 12.2 which we released this September. There is indeed a delay of a few months between the base Ubuntu version and the official release of a new stable version of Zorin OS. In between then, we work to integrate our existing software with the new technologies introduced in the new Ubuntu version. In addition, we use this time to create more new features and fix any issues we find ourselves. Once we’ve created and assembled all of the Zorin OS components into a working image, we allocate at least another month for Beta testing to let the community find any upstream and downstream bugs we didn’t catch beforehand. We’re strong believers in the “release when ready” philosophy. With the release of Zorin OS 12, we announced that we will be committed to using LTS versions of Ubuntu as the base system for major releases going forward. In between major versions, we make a number of point releases which include incremental updates to the built-in apps as well as support for new hardware, security fixes and various under-the-hood improvements. We believe this release schedule provides the optimal balance between the robustness of tried-and-tested technology and the latest and greatest features. When the next major version of Zorin OS is released in 2018, Zorin OS 12 users will be able to upgrade to it from the Software Updater. Do you think Zorin OS has achieved the original purpose or still has a long way to go? When we started Zorin OS, our big audacious goal was (and still is) to make Linux a dominant force in the desktop world. Thus far, we’ve been delighted with our progress in developing an OS that is both powerful and well-designed for usability. In addition, this year Zorin OS passed the 17 million download mark, with over a million of these for our latest version which we released less than a year ago. What’s most exciting is that over 60% of these downloads were coming from proprietary systems like Windows and macOS, which means we’re accomplishing our mission of bringing Linux to people who’ve never had access to it before. There are still so many things on our roadmap which we believe will accelerate progress towards our goal. In the coming months, we will launch a new package which will make it far easier for more businesses and governments to make the switch to Zorin OS. Further down the line, we’re aiming to bring Linux-based desktop computers into the developing world, where billions of people have never owned a PC before. There’s an exciting future ahead for the Linux desktop, so in short, we believe this is only the beginning for Zorin OS. Can you make an Android app for me. wherc G.A.B. I hope they sell it very well. It’s the only way to increase Linux market share. So how they are making money out of that? How does their open source model work? Look at the Zorin website. One can opt to ‘donate’ in order to download the Ultimate version. Apparently enough people do just that, including me. I am a convert, i don’t believe in free software anymore. Quality and continuity cost lots of effort, and everybody likes to be able to pay their rent, (i know i do). The core linux distributions (Ubuntu and Red Hat) aren’t free either, they have business models in the background that make billions.